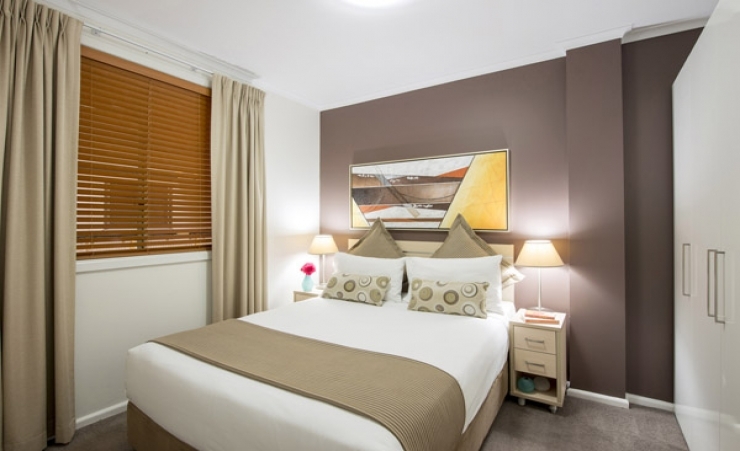 For perfectly located accommodation in Sydney, you'll be delighted with the Oaks Goldsbrough Apartments. 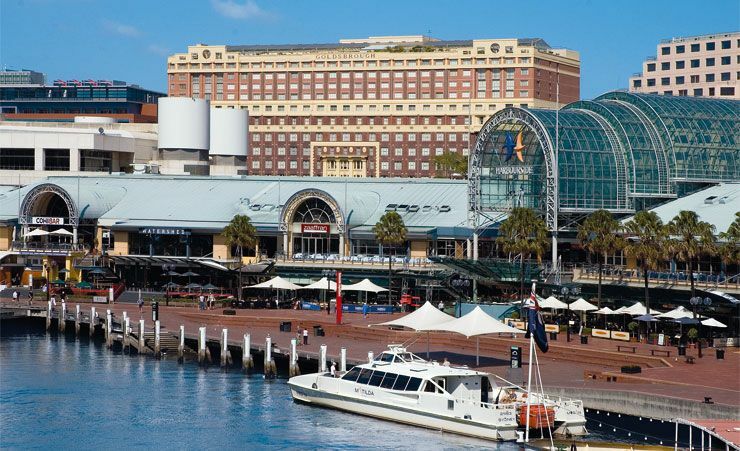 Here you'll be right in the heart of all the action at the world famous Darling Harbour. 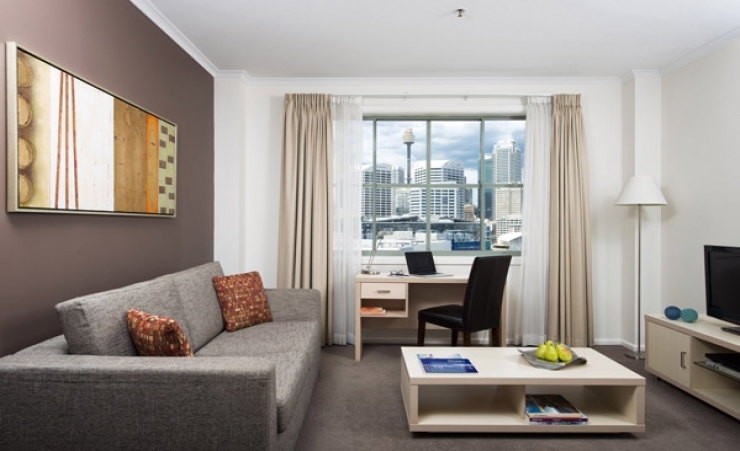 And for getting out and about and exploring everything the city of Sydney has to offer, you're not far from Central Station so it's just a short hop to wherever you want to go. 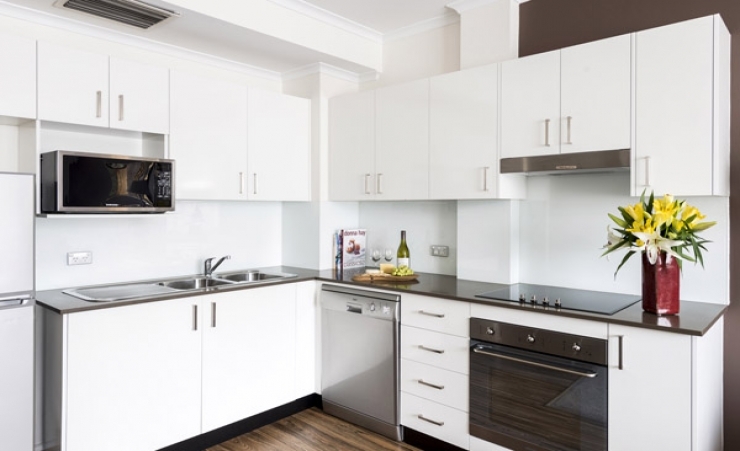 Inside a perfectly restored historic landmark building in the bustling centre of Darling Harbour, you'll find the Oaks Goldsbrough Apartments. Holidays in Australia offer so much to UK visitors, and this is the perfect base from which to experience the sights and delights of Sydney, whilst at the same time having some space and time to relax and put your feet up at the end of a hard day of exploring and having fun. All of the apartments at the Oaks Goldsbrough are one bedroomed with a full kitchen and seating area. 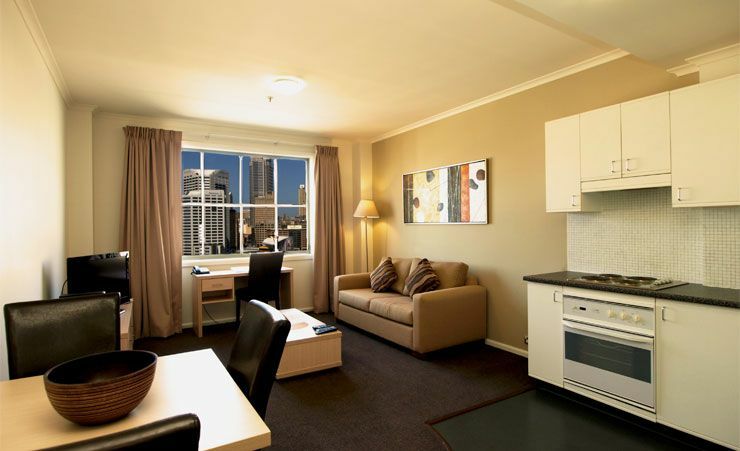 Every apartment is also finished to a high standard and is fully air conditioned for your optimum comfort. An internet connection is also available at a fee. The apartment building also has a range of onsite facilities for guests including an indoor swimming pool, spa, sauna and gym. So there's no excuse not to feel relaxed – or to take a little exercise if you feel like it! 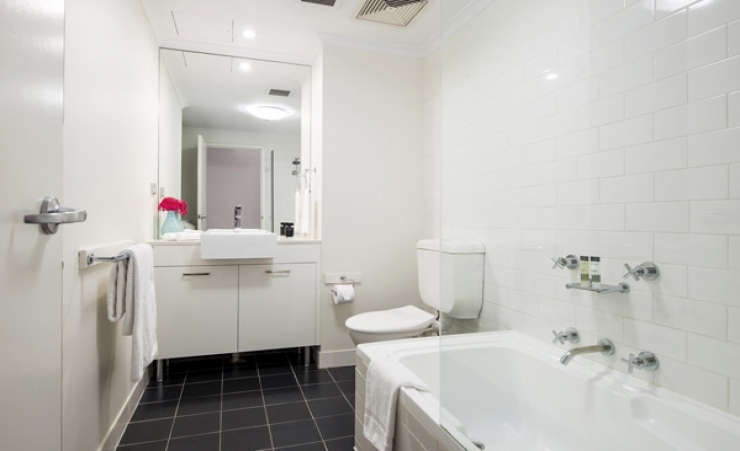 Of course there is plenty to see and do in the area so if you are exploring Sydney by car, parking is also available for you at the Oaks Goldsbrough (at a fee). Alternatively, you can easily travel around the city as Central Station is close by. 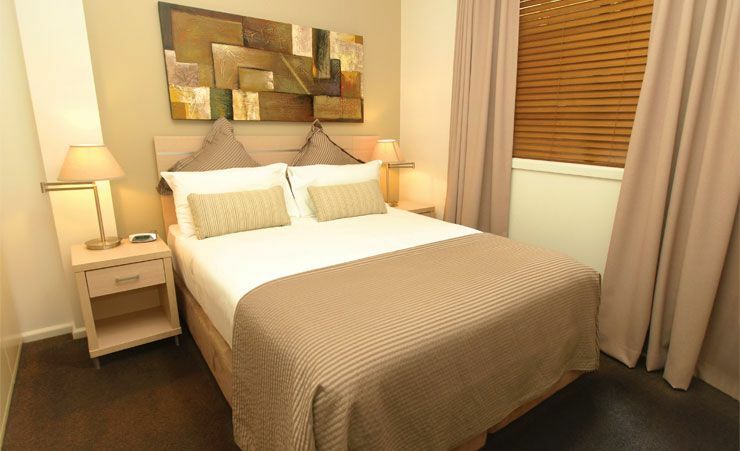 Find out more about your accommodation and the in room facilities at the Oaks Goldsbrough . Sydney is Australia's largest and most cosmopolitan city. Apart from it's natural attributes - the harbour which sets off one of the world's great skylines, those beaches at Bondi and Coogee and the warm sunny climate. Why not stopover for 2 nights in Hong Kong? Not a hotel but an apartment but none the less an excellent facility. Staff good, accommodation clean, facilities excellent & location superb. Traveled with you many times before and this is our second trip with you to Australia, very satisfied with your overall standard and service.